The weekend was full of differing weather conditions. On Friday there were 3 x 45 minute test sessions providing plenty of time to try stuff with the car and find a good overall setup. Session 1 was dry, and we would start the day well being up on the top 5 of the timings for most of the session, before falling down to P8 by the end of it but only 4 tenths off the quickest. All achieved without new tyres where as everyone else did, so we were very happy with the speed that we had shown from this session. Session number 2 was wet to start with due to a heavy rain shower just before the session, however, we headed out onto the wet track and adapted to the weather conditions very quickly. We would be in the top 3 the full session and headed the wet part of the session P1, before pitting for slicks to go out onto a drying track. P10 by the session end. but very happy with the speed in the wet. Session 3 was once again dry, completing in P9 just 4 tenths off the lead time, which we were happy with going into qualifying as it was very close and anything could happen. Saturday was dry for the whole day, and welcome for the 20 minute qualifying session and our first race of the weekend. In qualifying for the first half of the session we were sat in P6 before pitting and out for further run. We wouldn’t better our time set in the first run and fell to P9 which was a little disappointing, but we would work hard to try and make our way forward in the races. Made a good, clean getaway in Race 1 and held my position for the first few corners before running wide into the gravel, dropping to the back of the field. I climbed way back to P10 at the end of the race but was disappointed as the result could of been a lot better. 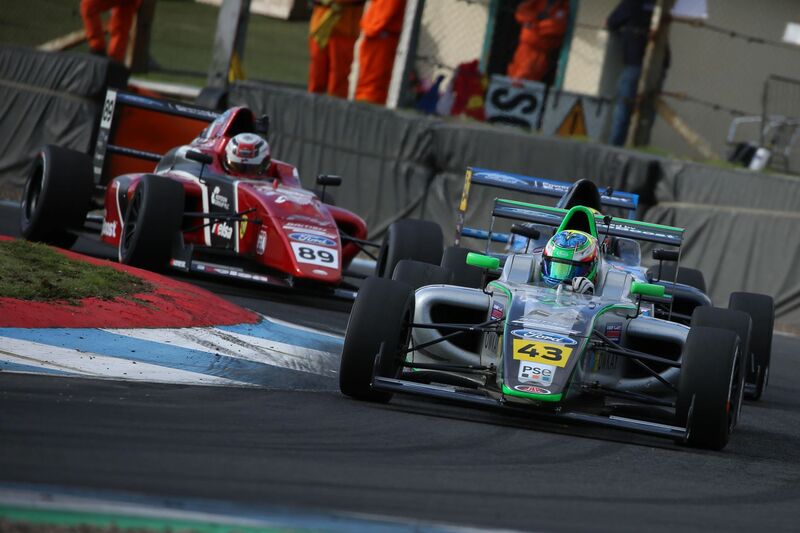 Sunday was very wet and for the first race I started in P10, and held that position for the first lap. The track was extremely wet and it was nearly impossible to see the cars in front, and indeed where the track actually went from all the water being sprayed up! After making a small error on the exit of a corner on the second lap, I ran wide and onto the grass heading straight into the barriers resulting in a DNF. Race 3, P10 slot, same conditions as the race before, and once again visibility was atrocious but made up a few positions to end the race in P8. I would like to say a massive thanks to JHR Developments and everyone else involved. I wouldn’t be able to do it without you and all the support is genuinely appreciated. 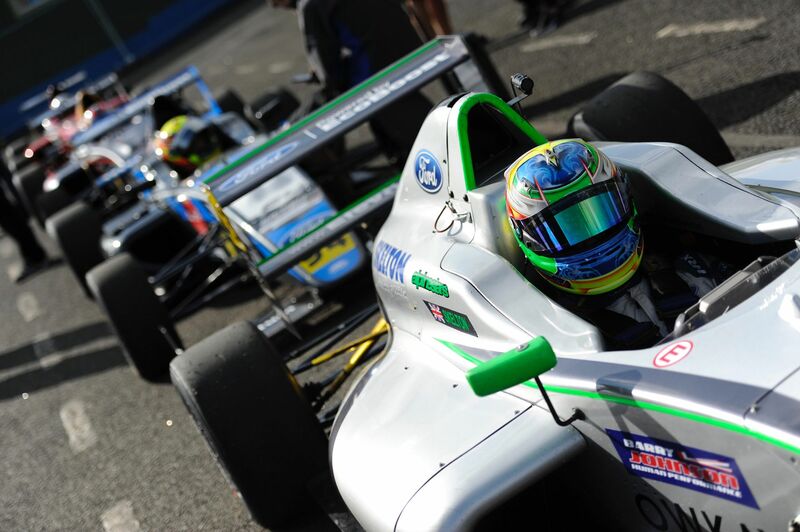 The next race will be at Silverstone in two weeks time for the penultimate round of the F4 British Championship.